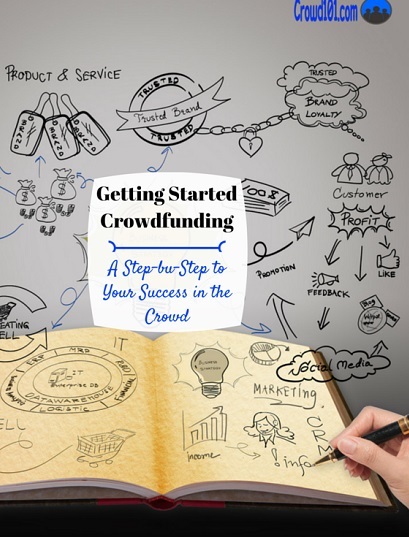 Getting started crowdfunding is just a matter of learning the process and taking it one step at a time. I’m always blown away at the number of businesses that still aren’t using crowdfunding. In a joint webinar I did with small business community Manta, less than 5% of businesses said they had considered crowdfunding and less than 3% had actually tried it. Behind all the misconceptions about crowdfunding like it’s only to raise money or is a desperate plea for fundraising is the fact that all businesses should be using the new online phenomenon…and not for the money! Crowdfunding will connect you with your existing customers like never before, giving them a buy-in with your business, and will help you reach a massive new audience. Beyond crowdfunding a business idea, people are finding a new way to fund the personal project they’ve been dreaming of their whole lives. 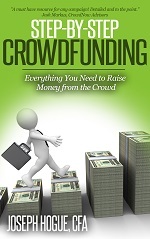 Getting started crowdfunding has never been easier with the detailed process below. Use the outline and blog posts to guide your way through getting started crowdfunding and check out the rest of the blog for new tips every week. Nearly two-thirds of crowdfunding projects fail to reach their funding goal. Why? Because people have no idea what to expect or the work involved with a crowdfunding campaign. Your first step in getting started crowdfunding is to do a little research to know what to expect. Research?! I know, not the most fun word in the world unless you’re a research nut like me. Crowdfunding planning and research isn’t that difficult. Check out this post on planning your crowdfunding campaign and putting your idea together. It will guide you through the steps on looking at other similar crowdfunding ideas to pick out what works and what failed. One of the best things you can do for your crowdfunding campaign is to start early and create your own website or blog. Do this a few months ahead of your campaign, posting just once a week, and you’ll start seeing traffic from Google search. You’ll establish yourself as an expert and can really drive big numbers to your campaign when it launches. After getting started with your crowdfunding idea, you’ll want to pick the crowdfunding platform that’s right for your project. I put together a guide of 18 major crowdfunding and fundraising websites that includes special features and pricing on each. Most projects will do well on Kickstarter or Indiegogo but don’t write off the other platforms without a look. They might just offer a more targeted audience for your needs. Want the entire step-by-step process for raising money in the crowd? I’ve put together the process in a guided format with extra tricks not available on the blog in my Step-by-Step Crowdfunding ebook. At just $3.99 for Kindle and $8.99 for print, it will save you a ton of time searching and putting your campaign together. Get the whole process from start to finish all in one place. The pre-launch phase of crowdfunding is the most important but most neglected part of the process. More than half of the 17 chapters in Step-by-Step Crowdfunding are dedicated to pre-launching your campaign to build excitement and momentum for your campaign. Do it right and you’ll have people waiting by their computers on day one to support the campaign. Check out the general process along with some great pre-launch crowdfunding hacks for getting started crowdfunding your campaign. If you don’t already have a strong customer list or a large and active social media network, you should consider pre-launching your campaign at least two or three months ahead of your launch date. This is going to give you the time necessary to really get the word out and build support. Line up first day social shares and pledging for your campaign. Campaigns that reach 20% or better of their funding goal over the first couple of days have a better chance of getting highlighted by the crowdfunding platform. Building and reaching out to an email list is going to be one of your most powerful tools. These are your most passionate supporters and they need to be constantly reminded of the campaign and how to help out. 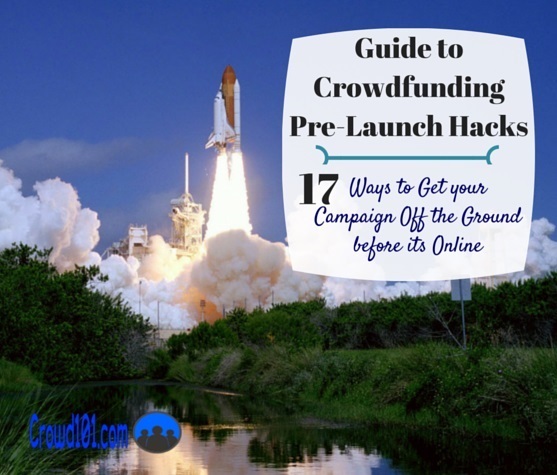 Part of getting started crowdfunding and pre-launching your campaign is knowing what to expect and what works. Check out this infographic on 10 crowdfunding statistics to help put your campaign together and build your pre-launch effort. Getting started and getting the word out about a crowdfunding campaign is something that catches most people by surprise. The word ‘crowd’ is right in the title, doesn’t it stand to reason that there would already be a bunch of people waiting to check out your campaign? There is no ‘crowd’ in crowdfunding. There is the opportunity to get your campaign to go viral by reaching the right people first but you have to give it that initial push by promoting it out yourself. The challenge in getting started with crowdfunding promotion has helped build an industry of crowdfunding scams and marketing firms. There are a few good crowdfunding promotion services out there but you need to start by understanding what works in crowdfunding promotion. You can actually do all your own crowdfunding marketing yourself and don’t have to spend a lot of money. You might out-of-pocket for a few social media tools or to get your team to work a few more hours but most of your crowdfunding marketing can be done on a shoe-string budget. Check out this guide on crowdfunding marketing resources and how to promote your campaign on a budget. A good social media management tool is one of the few things you’ll definitely want to check out. Social media networks like Facebook and Twitter are where the crowd really is for crowdfunding and you’ll need to refresh your message several times a day. I don’t have all the answers for making a successful crowdfunding campaign so I reached out to 33 experts in fundraising and crowdfunding to share their top tips. 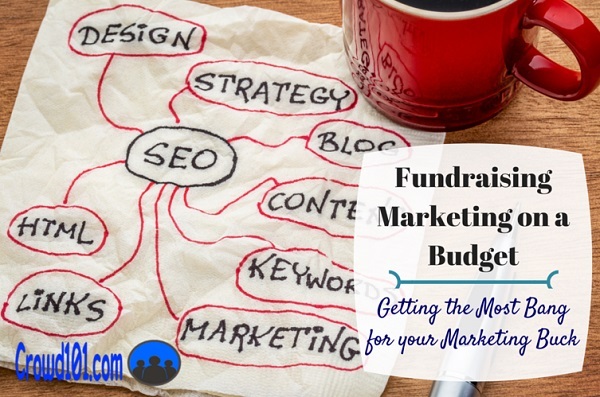 Check out this article on their top tricks to boost fundraising ideas and crowd campaigns. You are going to be extremely busy once your crowdfunding campaign is live so getting started with your campaign management tasks ahead of time is extremely important. Get as much of these scheduled ahead of time or planned out and you’ll make life much less stressful for yourself. If you’ve got a website or blog, you’ll want to constantly be drawing people to it and then directing them to the campaign. I laid out the three most effective ways to draw people to your blog including guest posts, interviews and reaching influencers. If you didn’t do it during pre-launch, you’ll need to build a basic crowdfunding social media strategy for while your campaign is live. Part of your strategy will be to understand how often you can post on the different networks without annoying your followers. Tweets get buried in less than 20 minutes so you can post more often, upwards of eight to 12 times a day. While most of the work on a successful crowdfunding campaign is done before it even launches, don’t think you’re done after you’ve funded the project. Leveraging your crowdfunding success after the campaign could mean the difference between an even bigger second campaign or closing up shop on your business dream. I’ve talked to small business owners that launch every new product through crowdfunding and are able to raise hundreds of thousands for each. It’s all because they know what to do before, during AND after the campaign. Learn what to do after the campaign and how to leverage your success for a second and third campaign. Still not sure about what to offer for crowdfunding rewards? Check out my article on creating great crowdfunding rewards.